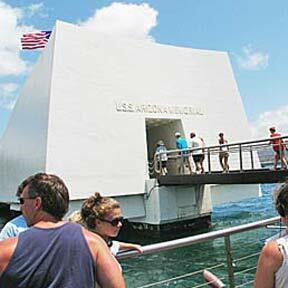 Between Memorial Day and Labor Day, at least 1.5 million people visit the USS Arizona Memorial, the state's leading tourist destination. Fund-raising efforts are now under way to build a new visitor center. Studies indicate that the current center, which is slowly settling, has to be replaced within five to 10 years.